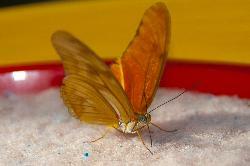 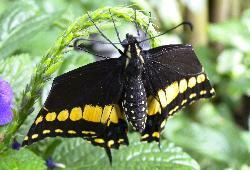 Photo of the Red Postman Butterfly taken at the Niagara Butterfly Conservatory. 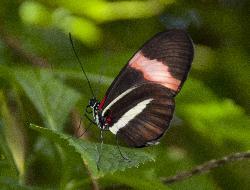 The Postman Butterfly, Common Postman, or simply Postman (Heliconius melpomene) is one of the Heliconiine butterflies found from Mexico to northern South America. 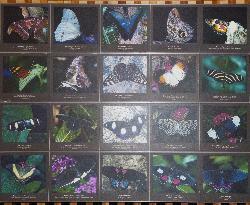 Several species in the genus have very similar markings and looks and are difficult to distinguish. 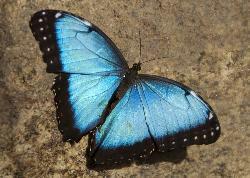 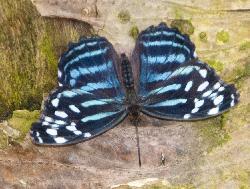 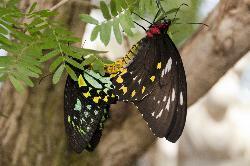 Morpho butterflies are amongst the most amazing creatures seen in the tropical rainforests. 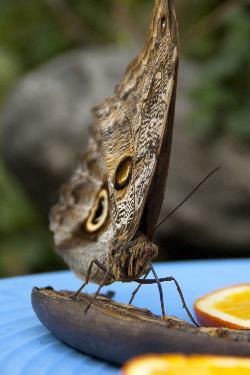 Here are some interesting facts about the Blue Morpho butterfly. 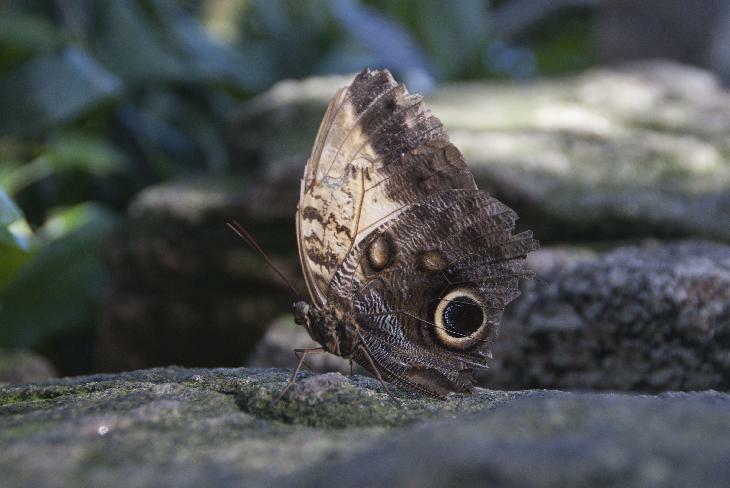 Butterflies in the genus Caligo are commonly called Owl butterflies, after their huge eyespots, which resemble owls' eyes.